“The Buried Moon Ballet,” an original production by Jordyn Brummond and featuring costumes handmade by Beth Brummond, appears on the Laramie High School Auditorium stage on Friday and Saturday, May 4 and 5. 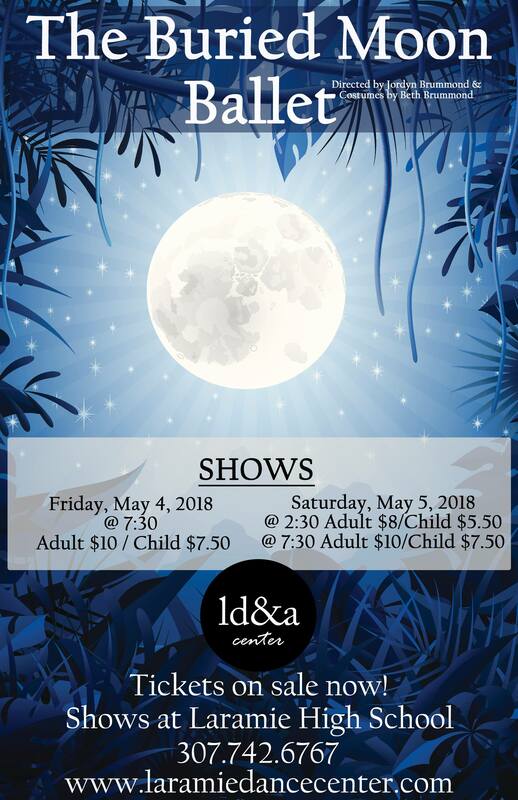 Performances are 7:30 pm Friday, May 4, and on Saturday, May 5, a matinee at 2:30 pm, followed by a final evening performance at 7:30 pm. Tickets are $10 for adults, $7.50 for children for the evening performances; matinee rates are $8 adults, $5.50 children. Seniors are $7.50 for evening performances and $5.50 for matinee. As an added bonus, families can donate $2 of their children’s ticket price to their elementary school PTA or preschool, and seniors can donate $2 of their ticket to the Eppson Senior Center! Brummond is a pointe, ballet, modern and lyrical instructor at Laramie Dance & Arts Center (LD&A), and has been since summer of 2014, when owners Levi and Kati Hime purchased Laramie Dance Center. The Himes changed the name of the center in 2015, moving it away from its ballet-centered previous focus to one that includes ballet among many types of dance, art, music and movement. Multiple performances featuring the diverse programming at Laramie Dance & Arts Center happen throughout the year, including Irish, belly dance, cheerleading, hip hop, tap and more. The center also is home to Snowy Range Music Together (a music and movement program for babies through preschoolers and a loving adult), and Snowy Range Taekwondo. This is Brummond’s third original ballet production, taken from inspirations in fables and classic tales. Jordyn creates the story line, characters, selects the music and creates the choreography all by hand. She directs all rehearsals and coordinates team bonding events for the dancers. Participation in the ballet is an additional, optional activity offered to the students at LD&A, and is an inexpensive activity for the participants. Brummond donates her time and expertise to weekend rehearsals over the course of many months, and the students’ cost is the cost of their shoes and other garments needed to support the costumes. Jordyn’s mother Beth Brummond creates the dancers’ costumes by hand every year. 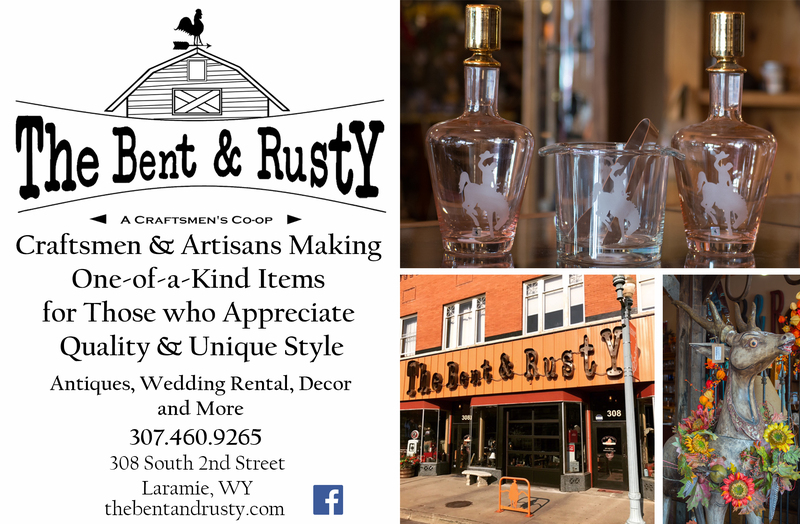 “These are incredible, priceless creations,” co-owner Kati Hime says. “The sewing is exquisite, the fabrics they choose are beautiful, and you couldn’t find hand-tailored costumes like these at a low price. They are truly one of a kind. We are so fortunate to have Beth’s passion on display on stage for these young ladies.” The costumes this year take on a celestial theme, with a beautiful surprise twist! This year’s production follows the plight of the moon, who is stolen and buried. Villagers must take it upon themselves to find the moon and restore it to its rightful place in the night sky, surrounded by the stars that guard it. This is a family-friendly story and performance that is sure to delight all ages. LD&A dancers will also be on hand for a meet and greet photo op with young ballet hopefuls after each performance in the lobby way! Tickets are available at the door or ahead of time by calling 742-6767. Laramie Dance & Arts Center is a welcoming program that accepts all levels and ages of people who are passionate about the arts. See their schedules, class descriptions and more at laramiedancecenter.com. 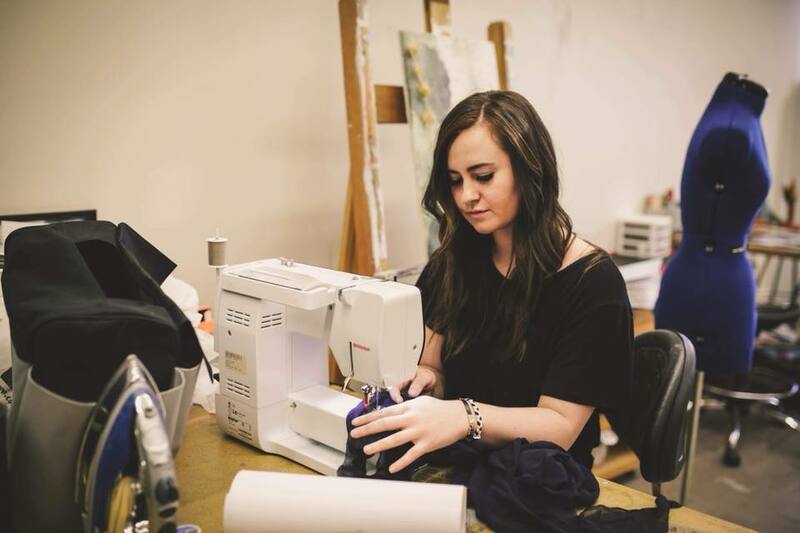 Designs produced by Paul Ditty as well as seniors in UW’s textiles, fashion and design program via the Department of Family & Consumer Sciences, College of Agriculture are part of an annual exciting fashion this Saturday, April 21 at the UW Union Ballroom at 7 pm. 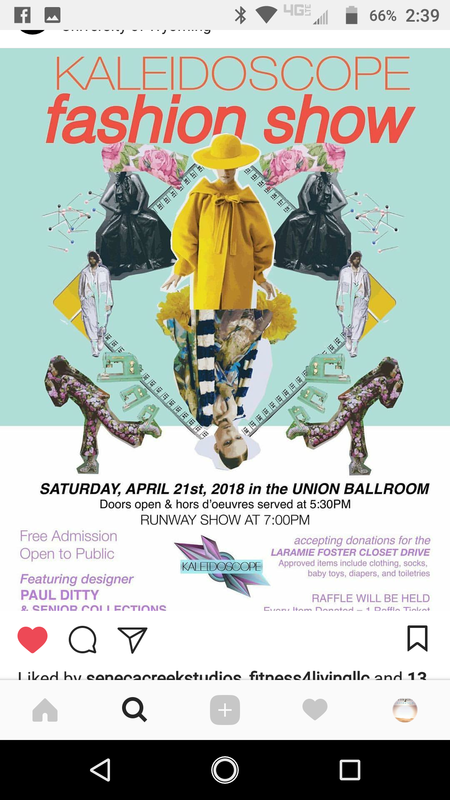 The Annual Kaleidoscope Fashion Show is a student led and produced event that happens every spring at the University of Wyoming. Kaleidoscope showcases unique, handmade designs from students, community members, and alumni. Admission is free. The Anne Collection is a ready-to-wear, eco-friendly line inspired by French Provincial furniture and its color palette. I wanted this line to be comfortable, flattering, and versatile. The open backs and form-fitting pieces creates an edgy, confident energy while the bamboo/cotton knit fabric makes these garments comfortable enough to spend all day in. 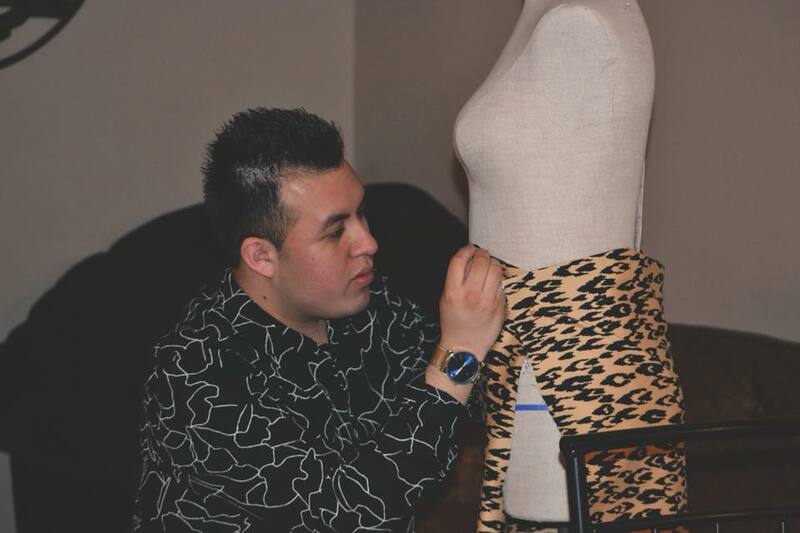 Salvaje is a collection of African safari & savannah colors and animal prints. Salvaje embodies the motto of being yourself. The word salvaje translates to wild – when you think of the wild you think of freedom, being fierce, being independent, strong, but most importantly being who ever you want to be. That is what’s seen on the runway, with some risqué, modern fashion. This collection can be worn to a cocktail event, parties or red carpet events when wanting a more simplistic look. Triforium investigates parallels in fashion and architecture. The selection of Gothic architecture allows for the conceptual and visual expression of my existing interests in balancing elegance with darkness. This period of time comes with an air of fantasy and boldness; this is represented with striking silhouettes and sculptural applications of steel rod. The title is representative of the forms I borrowed from architecture of the time, but it is also symbolic of the middle ground between light and dark. This collection was inspired by fairy tales and folklore, each of the individual garments are deities and spirits from Filipino fables. 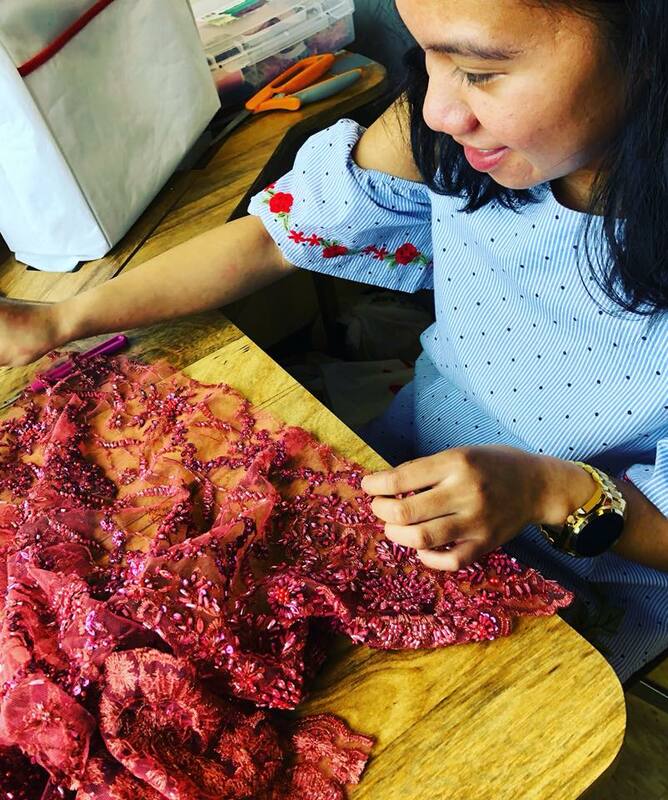 It is meant to be whimsical and lively where the main focus are on the details of the garments; such as the embroidered floral appliques and hand-sewn beading.